High Definition broadcasts, movies and games offer a complete entertainment experience. Combining crystal clear pictures and supreme surround sound means that enjoying HD in the intimacy of your living room can offer even greater sensory stimulation than the cinema. Unfortunately, many people don't experience high-def in all its glory. If you want the ultimate High Definition experience, it's important to remember that vision is only half of the equation. To enjoy the full benefits of HD, you'll need to immerse yourself in surround sound too. If you take the following points into consideration, you'll be well on the way to the ultimate HD set-up. LCD, LED LCD Or Plasma? The most important thing to consider when deciding between Plasma, LCD and LED LCD is your viewing environment. 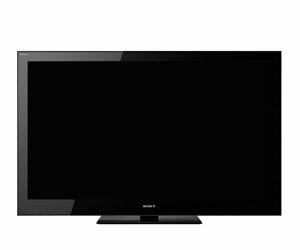 Plasma TVs perform better in a darker environment as they use a glass front. LCD and LED LCD televisions perform best in environments with higher levels of ambient light. The larger your screen, the more visual impact HD pictures will have. Measure the area where your television will sit; remember, televisions are measured diagonally across the screen. Fast motion, like sport or action movies, looks best on a TV with quick, smooth picture transition. Look for the lowest response time possible; 8ms is a good benchmark for performance. When it comes to refresh rates, if you're leaning towards buying an LCD television, aim for 200Hz (100Hz as a minimum). If you're looking at a plasma TV, aim for 600Hz. Progressive scan televisions (e.g. 1080p) deliver the best resolution for fast moving action. Screen resolution is the number of horizontal and vertical pixels. The more pixels per square inch, the higher the resolution. High Definition is a resolution of at least 576p. Most networks broadcast HD content in 720p or 1080i, so if you want to make the most of all HD content, then you should aim for the highest resolution TV that you can afford. Some sports are broadcast at a resolution of 1080i. With so much attention on High Definition visuals it's easy to forget that the picture is only half the experience. Surround sound takes your HD experience to the next level, immersing you in another world. Rugby and NRL matches are broadcast with 5.1 channel High Definition sound. This gives you a "stadium effect", the crowd erupts behind you and the commentators sound like they're sitting right next to you. A 5.1 channel surround sound system comprises of five speakers and one subwoofer: left and right front speakers, a centre speaker, left and right rear speakers, and a subwoofer. 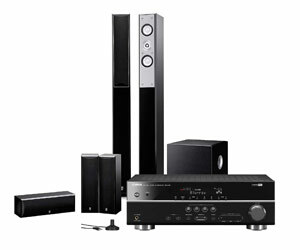 A 7.1 surround sound system comprises of seven speakers and a subwoofer. Timeshift: Pause or record a live game and continue it at a later time, from exactly where you left off. Chase Play: Play back a match while it is still recording and skip past commercials and replays. Hard Drive: 250GB model will store approximately 50 hours of high definition recordings, just about enough to record a football team's entire season. Electronic Program Guide (EPG): Gives information about the time, date and classification rating of programs. Picture-In-Picture (PIP): If there are two sporting events on at the same time, view one channel in a small corner of the screen while watching another. If you've gone to the trouble and expense of buying a 1080p HDTV and surround sound system, the only way to take full advantage of them when watching movies is through Blu-ray. 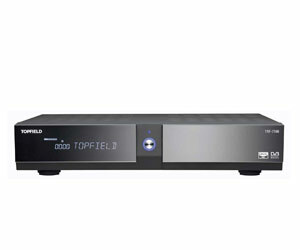 Blu-ray provides superior resolution to DVDs and TV, and rich HD surround sound. Blu-ray's maximum resolution is 1,920×1,080 (1080p). Blu-ray utilises superior video-compression methods for more contrast and richer colour. Blu ray offers a full HD audio experience in 5.1 and 7.1 channel surround sound. Access menu functions and director commentary while watching a movie. Display a second image in a sub-window.